If you are not ready to move or build a new home consider retrofitting your existing home to be more energy efficient. As important as building new zero energy homes is, retrofitting existing homes in our communities can be just as energy efficient and environmentally friendly. Homeowners have realized that you can successfully remodel older homes on a clear path to zero. Why should you remodel your older home towards zero? *You save a lot of money on energy bills. * You can improve the indoor environment, health and comfort of your family. * It allows your family the opportunity to stay in the neighborhood that you love. * It will increase the value of your home. The first step on your path towards zero is to “Know what you don’t know!” Everything that you ever wanted to know and were afraid to ask about toxic-free, sustainable, recycled products, from the lighting to the floor, from installation to paint is available both offline and online. Be an informed consumer when making decisions about remodeling. There are many choices out there! Also, on your path towards zero, homeowners should take advantage of buying raw materials locally and try to re-use as much existing materials as possible. There is a lot of recycled lumber, cork, bamboo and glass out there to name a few. Not only can this save you money on your remodel, but is also environmentally friendly as it reduces the amount of unnecessary waste. Another area to look at is the mechanical systems in your home. One quick and easy fix is to buy new green appliances. I am not talking about the green avocado appliances from the sixties. There are a wide variety of Energy Star Certified appliances at many price points. Another easy fix, that I took advantage of in my own home, is to replace existing lighting with LED lights. Not only will they save you money and electricity but they also come with the added advantage of keeping your home cooler during the hot summer months. Finally, a well-insulated home will save energy and resources while also greatly minimizing your electric bill. Be sure to insulate, your windows, your walls, roof and foundation. 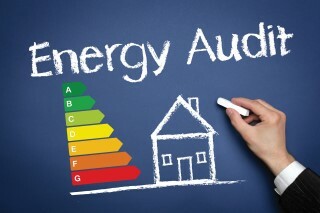 To get started, homeowners may want to contract with a Certified Home Energy Auditor. Homeadvisor.com has many of these professionals listed with customer ratings. A good auditor can review a year’s worth of utility bills and determine the energy efficiency of appliances, water heaters and the heating system as well as evaluate the energy efficiency of your lighting. They will also rate the quality of the windows and doors and estimate their installation and the current level of the insulation of the shell of your home as well. The most important result of hiring a professional Home Energy Auditor is that he can help you come up with a gradual cost effective plan. Many people have financial plans for retirement that are implemented over many years, sometimes even decades. Making a long-term remodeling plan for your home is a great way to gradually implement measures that will keep you on the path to zero without over-taxing your budget. Kevin Ronan, Associate Broker affiliated with Alliance Realty, 290 Bridgeton Road in Westbrook: Kronan388@gmail.com, or call: 207-838-4855.